Are you ready to learn how to make your life count in ways that really matter? In this highly motivating book, Kent Ingle identifies nine essential principles for developing your life potential. His systematic plan for personal discipline will help you reach new heights of influence and success. You can’t live the way God wants you to live until you build habits in your life that will activate your divine design. 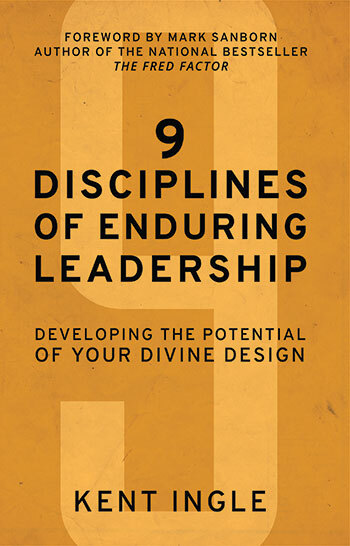 Dr. Ingle describes in practical ways how these disciplines can change your leadership and your life and set you up for a legacy of success. When you align your behaviour with your values, you unlock your leadership potential. Kent Ingle is the president of Southeastern University. Previously, he served as the dean of the College of Ministry at Northwest University in Kirkland, Washington. He has also served fifteen years as a lead pastor. Prior to entering professional ministry, Kent spent ten years as a television sports anchor for NBC and CBS. He is the author of This Adventure Called Life and Framework Leadership.